Are you sweating drops the size of pianos? You’ve found a new place, closed the deal, and now you’re getting ready for the local Tucson move… finally! Aside from starting your search for local movers in Tucson, many people do not know the next steps. Your friends are all giving you their two cents on what to do, and how to carry that family piano. Everyone has advice on what makes a successful move, but no one mentions the crucial moving mistakes many new homeowners tend to overlook. Tucson moving companies state to save you some time and money, check out these common moving mistakes to avoid given to us by expert local movers in Tucson. Tucson moving companies agree that there’s nothing paranoid about preparedness. Oscar Wilde once said that you should always expect the unexpected. Before the decided local Tucson moving day, stash away a “survival kit” in case of emergency. Forget the piano, you will need to fill it with- clothes, towels, toiletries and important documents. And don’t forget plenty of snacks! Time is money and you don’t want to pay an hourly fee for the time spent sitting in gridlock. Prepare yourself for traffic on the way to your new home. If possible, avoid moving during peak traffic times. If you can’t, try to plan an alternate route avoids congested main streets. You’ve likely gathered a vast collection of things that you no longer need or want. Remember to lighten your load and declutter before the big move with your local Tucson Movers. Don’t pay to move things that you don’t need! 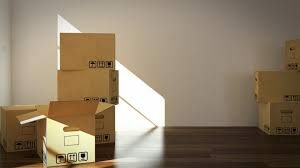 Less clutter will mean that the local or long distance move is easier on you and your movers in Tucson, Arizona (AZ). Consider donating your gently-used items or recycle any unwanted junk, says most Tucson local movers. Better yet, throw a moving sale! You might be surprised to find out just how much money you can make by selling your old, no-longer-needed items in preparation for moving day with the hired Tucson moving company. Not everything can join you on your local Tucson move. Most Tucson moving companies agree that these “non-movable” items are generally hazardous and most professional Tucson movers won’t touch them. You should dispose of them before the moving truck rolls up. Tucson moving companies state that chemicals, flammables, and perishable items are some of the biggest hazards that people don’t think about. Remember to back up your computer so that you don’t lose valuable data. In the event of an accident, you’ll wish you had backed up your data beforehand. Movers in Tucson, Arizona agree that it never hurts to be prepared! The last mistake to avoid? Moving without the help of a professional! Zooz Moving will take care of most of the difficulty of moving so that you won’t have to worry about it. For professional local and long distance packing and moving services, trust Zooz Moving, the premier Tucson moving company, to get the job done right. Zooz prides themselves on their careful handling of clients belongings; from small objects like a toaster, to larger objects like a Grand Piano. To learn more about what Zooz Moving can do to make moving day a breeze, call us today at (520) 447-0900 and receive a free, no-obligation estimate. When it comes to residential moving, new movers (whether they are local or long-distance Tucson movers) should be prepared for what to expect from their new surroundings. Most Tucson moving companies and local movers in Tucson agree, by familiarizing yourself ahead of time, you’ll find it that much easier to adjust to your new home come moving day. 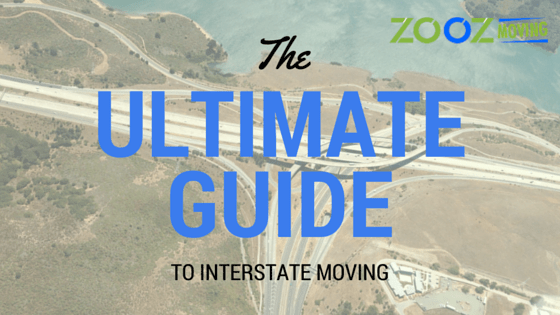 This month, Zooz Moving gathered a few helpful resources you’ll need for a local or long distance move to Tucson, Arizona. As you prepare to pack for the big day, consider these tips for a smooth move from start to finish. Tucson’s official website provides links to the city government agencies, public services, health and safety, business, education, transportation, neighborhood resources, and information on any local government news and politics. Better yet, the platform provides resources for utilities and payment plans to make moving day a breeze. With such great amenities available, it opens up time to think about other important matters like “How is this piano going to manage to squeeze through the front door?”. Ready to explore Tucson? Let Zooz, your local Tucson movers, worry about that piano and view the official Visit Tucson website. The website features citywide attractions and events for new movers and local movers in Tucson alike. From hiking tours on Mt. Lemmon, date night or nightlife ventures, farmer’s markets, to a full calendar of local happenings, we guarantee the city of Tucson has something you’ll love. Stay up to date on breaking local news in Tucson! 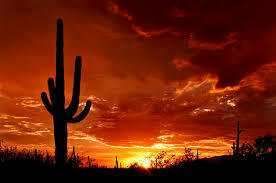 Tucson.com provides local and national news with a focus on sports, opinion, food, home, and travel. Any relevant Tucson news will be posted on their website for easy access. Tucson’s official school district website is an important resource for parents moving with children. Here, you’ll find a district map of local schools and important statistics that will help you choose the right school suited for you and your children’s needs. Enrolling guidelines and requirements are also listed so you’ll be prepared for the start of a new school year. Teaching professionals can also find employment listings on the website’s district career searching tool, found here. 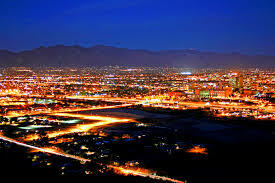 Now that you’ve become more familiar with Tucson, call the professionals at Zooz Moving! From local and long distance home and office moving to full-service packing solutions and more, our team of experts is guaranteed to make your move easy. As you prepare for your local Tucson move, you can count on Zooz Moving, Tucson’s trusted packing and moving service. Zooz prides themselves on their careful handling of clients belongings; from small objects like a toaster, to larger objects like a Grand Piano. To book your next move, or to receive a free estimate on our packing and moving services, call Zooz today at 520-447-0900. There’s no shortage of stress during a move. Just like we often get really anxious during the moving process, so do our pets. When it comes to moving, pet owners have to worry about travelling, possibly long distances, with their pet, as well as introducing them to a new environment. Even if the most fearful of pets can deal with moving to another home safely with just a little extra care. 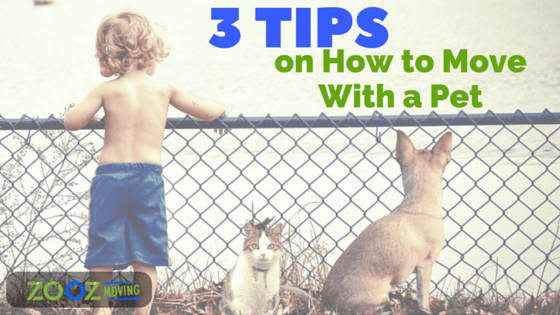 Here are some tips on how to move with a pet. Schedule a full check-up for your pet so that you’re sure that they’ll be fine while you’re travelling to your new home, especially if you’re travelling by plane. It’s also a good idea to get any vet and vaccination records your pet may have. Also, find out if your pet needs any shots in the near future, because it may take you a while to find a new vet that you and your pet trust. Finally, if you plan on travelling via plane, find out if your airline requires a certificate of health from your vet. If you think your pet may get scared or aggressive at the airport or on the plane ask your vet for mild sedatives to keep your pet calm. No matter which way you’re travelling to your new home, it’s essential to make sure that your pet will be welcome. If you’re travelling by plane, be sure to pick an airline that allows pets to travel and ask them about their pet policies. Keep in mind that larger pets may have to travel with the cargo, while smaller ones may be allowed to be with you in the cabin. If you’re travelling by car and plan on staying somewhere overnight, be sure to plan ahead and search for hotels that allow pets. Always leave a “Do Not Disturb” sign on your door, because a scared pet may run out of the room when the door is opened. Remember, this is a stressful process for your pet, too! Try to do everything you can to make your pet feel safe. Have them travel with their favorite toy or blanket so that they don’t feel like their environment is completely strange and scary. This is still important after you’re all moved in so that they can get used to their new home. It’s also a good idea to spend as much time with them as you can. Having someone there that they trust can make the process a little easier. Finally, keep an eye on your pet’s behavior after moving. Some pets can get so nervous that they won’t eat or drink any water for a while after moving. Bad behavior can also indicate that your pet is stressed. Instead of punishing them, play with them, give them treats, and spoil them. It’ll remind them that although the transition may be difficult, they’re still very loved. With or without pets, moving isn’t an easy task. Zooz Moving, the trusted local Tucson movers, can take care of most of the difficulty of moving so that you won’t have to worry about it. To learn more about what Zooz Moving can do to make moving day a breeze, call us today at (520) 447-0900 for a no-obligation estimate! Plan on Moving This Summer? The summer season is a popular time to plan a move. This makes sense: it gives families the opportunity to adjust to a new neighborhood before school starts, it’s the time when college students are returning to their dorms, and many people use their vacation time during the summer. If you plan on moving this summer there are a few pros and cons that Zooz, your trusted local Tucson movers, think you should know. Pro #1: The weather makes moves easier. One of the reasons why summer is such a popular time to move is that there’s typically less extreme weather during the summer. With spring there’s heavy rain, winter sometimes brings snow and icy roads, and fall often comes with cold weather. The heat of the summer usually makes a Tucson move easier, safer, more efficient, and brings less potential damage to your personal possessions due to the weather. Con #1: Moving prices are higher. Due to supply and demand, other local Tucson movers’ prices are often raised during the summer because many people are trying to move during this time. In contrast, moving during the winter is typically cheaper because fewer people are trying to move during this season. Pro #2: School isn’t interrupted. If you are trying to move with a family, many parents are concerned about a move affecting their children’s studies. When moving to Tucson in the summer, not only are kids not missing school, but they also have a chance to get to know their new neighborhood and make new friends. Con #2: Moving schedules are less flexible. Again, the popularity of a summer moves creates several disadvantages, one of them being that many movers are booked and have little flexibility. The best way to combat this is to free up your own schedule a little if you’re able to. This way, you have a better chance of being available during the few times movers have open slots. Are you still interested in moving this summer now that you’ve weighed out the good and the bad? If so, Zooz Moving can provide you with a personal, peaceful, and efficient moving experience in the Tucson, AZ area. At Zooz Moving, we specialize in all kinds of moves, including college dorm moves, local and long distance moves, commercial moves, and we can even take care of packing for you. Our local Tucson movers have a wealth of experience in moving small objects, like a book collection, as well as larger objects, like the family piano. For more information about what Zooz Moving can do for you, call us at (520) 447-0900 today! For many college freshmen moving into dorms, it’s their first time living on their own. When you’re not used to being without someone making sure you have everything that you need, it can be difficult to get started on your own. Zooz, your trusted local Tucson movers, have a few things to remember to bring when you’re moving into your dorm. This may seem like a no-brainer, but while you’re worried about packing your things and getting to your dorm, sometimes you can forget to bring your deodorant. Toiletries are usually sold on campus, but at a much higher price. Save yourself the cash and remember to bring all your personal hygiene products. Don’t be the annoying roommate who never cleans up after themselves. Remember to bring the things you need to clean your dorm, like a broom, dishwashing detergent, and bathroom cleaner, to name a few. You never know what could happen, and you don’t want to be unprepared. It’s always safe to have bandages and a wound cleaning solution to prevent infection. Sure, eating out of paper plates and plastic forks saves you from having to wash the dishes, but it’s not the most cost-effective option. It’s much cheaper to have your own set of eating utensils. Even though you have to share a laundry room, not many people are always going to share their laundry detergent with you. It’s best to always have your own laundry products, like detergent, fabric softener, and dryer sheets. For your safety, it’s always best to have a flashlight in case of a power outage. 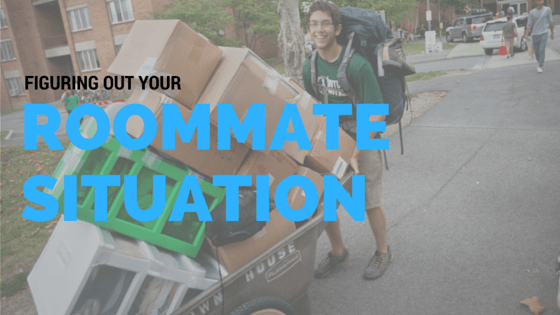 Even though you share space with a roommate, after moving into dorms, you might notice that there is little to no room to have all of the things that were in your bedroom back home. Storage bins are great space savers: you can stack them on top of each other or tuck them under your bed. If it’s the first time you’re living far from home, you might get homesick. It’s normal to miss your hometown friends, your mother’s cooking, and the comfort of your childhood room. Remember to pack something that reminds you of home, even if it’s just a stuffed animal. It can bring you a great deal of comfort. 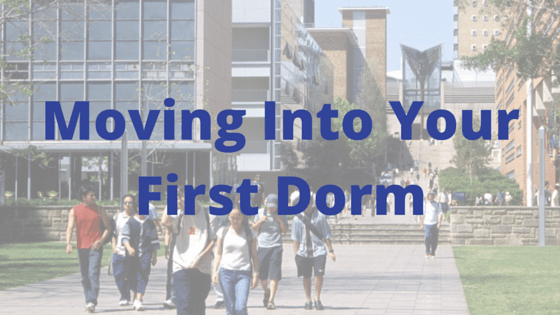 Moving into your first dorm doesn’t have to be nerve-wracking. With the proper preparation, the transition to college can be completely smooth and stress-free. Zooz Moving can help you with all of your moving needs, whether it be local or a long-distance move. They have a wealth of experience in moving heavy objects, such as pianos, as well as the small objects found around the house. Ready to get started on preparing for your college move? Call us at (520) 447-0900 or request a free quote with Zooz Moving to see how we can accommodate you with moving to your new dorm. With fall approaching, incoming college freshman are probably thinking a lot about moving into their first dorm. While you’re thinking about what you’re going to bring to your dorm, it’s also important to think about how to be best prepared for an emergency while you’re living on campus. Zooz, the top-notch Tucson moving company, has a few tips on how to secure your safety while living away from home. Some natural disasters can be predicted, while others can’t. In any case, it’s best to have a plan and special items to help you stay safe. If you are moving from out-of-state, Arizona occasionally experiences natural disasters that may be different from those that you are familiar with, including dust storms, heat waves, wildfires, extreme winter weather, and landslides, to name a few. In general, it’s best to have safety items in your dorm, like a flashlight, batteries, water, canned food, a radio, matches, and a fully charged phone in the case of a natural disaster. Also, if you are sharing a dorm with other people, communicate and agree upon a safety plan, such as emergency exits or a place to reunite after a disaster (if needed). Account for each other and make sure you have each other’s’ cell phone numbers. You and your roommate accounting for each other as needed is an effective tool for dorm safety. If it’s 4 a.m. and your roommate who never stays out late isn’t home, just call and check on them. You never know if they may be in a tough situation, and you may be able to help. And it works both ways — it’s comforting knowing that your roommate is concerned for your safety and that you always have someone who will check on you to be sure you’re okay. If the fire is small enough to put out, DO NOT USE WATER for grease fires! Use a blanket or baking soda to put out grease fires. If the fire is too big to handle, or if there’s a fire somewhere else in the building, the best idea is to evacuate and account for any roommates you may have. Also, try to stay close to the ground to reduce inhalation exposure if there’s a lot of smoke in the air, and check the temperature of each closed door before opening. There may be a fire on the other side. Whenever there’s an emergency, it’s important for people to be able to contact you, especially if you have family living a bit of a distance from campus. Your family will be worried about you, and it’s important to for them to know that they are able to check on you or take you to a safer place, if needed. As you’re thinking of things to make your dorm as safe as possible, Zooz Moving can help you with the process of moving in. 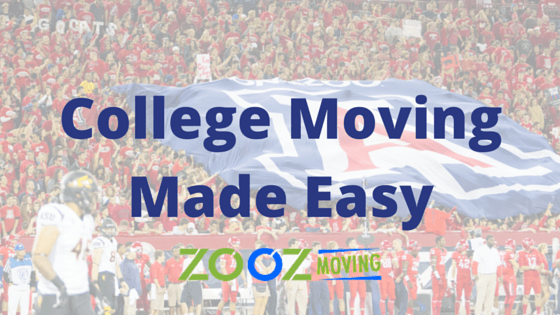 Zooz, apart from being expert local movers in Tucson, specializes in helping students move into their dorms and offers affordable services to accommodate your new “broke college student” status. If you need moving help, all us today for a free quote at 1-520-447-0900. Making a move in or out of Tucson, AZ? Even if you get a profession, local Tucson moving company’s help, there’s going to be some work involved. Without professionals? Tucson local movers can agree that there is still going to be a lot of work involved! Either way, you might want something that helps you break up both the monotony and the stress. 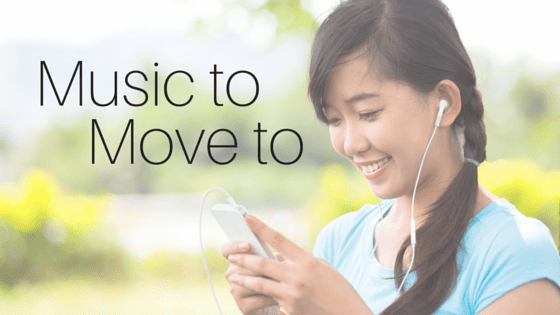 One of the things that can really help you, and most local movers in Tucson, do that is a nice moving music playlist. To help you come up with that playlist, we’ve come up with three tips. Hope you enjoy! Movers in Tucson, Arizona know that moving is hard work, so you will want songs that get you going. Most local Tucson movers would agree, that you don’t need something sad or contemplative — think “Eye of the Tiger,” not “Rolling in the Deep.” A majority of people, especially local movers, prefer the sounds of heavy acoustics as supposed to peaceful piano. This one mainly applies if you have other people involved in the move, especially friends. If you invite someone over to help you move out of your place, you want to try and play some stuff they’ll like, right? One of the best ways to do that is to go with some classics. It’ll depend on your friends of course — maybe they really like Tibetan chanting or Norwegian Death Metal — but at the end of the day, it’s good to go with pop music or classic rock. Of course, all of this advice doesn’t mean anything if it leads you to choosing music you don’t want to listen to. At the end of the day, you know your taste in music. Figure out what songs you like, put them on your music moving playlist, then go to town on your moving job. Of course, because moving is such hard work, you might find you need some help. If that’s the case, call Zooz Moving at (520) 447-0900. They pride themselves on their careful handling of clients belongings; from small objects, like a glassware, to larger objects like a Grand Piano. Going to college for the first time can be exciting, but it can also be terrifying. What should you expect? Are you ready for the coursework? What about the party scene? Will you have local Tucson movers get all of your stuff in there? There’s a lot to think about and a lot to worry about. One thing that can be especially worrisome for college prospects is the thought of sharing a room with someone else. But honestly? There’s one big thing you can do to make your roommate situation go as smoothly as possible. In most cases, you’ll be given your roommate’s name ahead of time. You can use this to try to reach out to him through Facebook before your college orientation actually starts. This can make things a little less tense, because you’ll get to know your roommate before you guys have to deal with living with each other. If you guys keep talking past the icebreakers, this could also be a really good time to ask him what he’s expecting from the college experience. Is he going to want to go out and party all the time? What are his thoughts on doing the dishes? Does he see himself as a clean person or a messy one? You may or may not like what you find out about your roommate. But either way, it’s much better to find this stuff out before you move in, than to have it be a huge surprise during your second week of classes. Communication doesn’t end when the semester starts, though. You’re also going to want to make sure you’re communicating your expectations throughout the year. Your roommate situation shouldn’t be a source of stress — you’ll probably get plenty of that elsewhere due to schoolwork, if nothing else — so you want to make sure you and your roommate are respecting each other’s boundaries. If you two talk about your problems and can’t come to a compromise, there’s no need to worry. Roommate transfers are very common, especially during the first year. Need Help Moving Into Your Dorm? Of course, before you get a roommate, you have to get to college! If you need help moving into your dorm, trust Zooz Moving. Give us a call at (520) 447-0900 or fill out this contact form. If you’re making an interstate move, there are a couple things you’re going to want to know. An interstate move is a big undertaking, due to both the distance involved and the fact that you are crossing state boundaries. Therefore, we’ve written this post to inform you some of the things you might want to know about the interstate moving process. Over time, there are a lot of objects that accumulate in our day-to-day lives. Clothes, furniture, books, and movies. If you have children, the toys by themselves can take up a massive amount of space. It is hard to get rid of these things. The truth of the matter? You’re not going to want a lot of the stuff you have lying around. You shouldn’t get rid of the important stuff, of course — the stuff that makes you smile when you look at it, the stuff you use, the mementos for memories you really want to keep. But the truth is, the vast majority of people keep way more stuff around than they need. When you’re making an interstate move, all that junk can cost you money. So be smart before the move. Get rid of all the stuff you don’t need. By getting rid of junk, you’ll be able to keep some of your hard-earned cash. If you’re like most people, a lot of the services that you use rely on your address. You’re going to want to make sure to notify all of them that you’re moving. This will help ensure a smooth transfer process. Some of these transfers won’t be a big deal, they’ll just be nice. This will ensure that you don’t miss an issue of your newspaper or magazine of choice. Some of these are much more important. If you don’t get the utilities connected to your new home before you get there, for instance, you may have to go without running water and electricity for the first few days. Also make sure to contact your old bank and transfer your account to the new one. If you’re moving because you need to relocate to a new job, there are two ways you can reduce the personal cost for your move. The first is to reach out to the company you’re moving for. When you’re negotiating salary and benefits with them, it may be worth it to ask if they will help you with relocation expenses. Depending on the size of the company, there is a chance they will have money set aside for that. Your second option is to use your moving expenses for tax deduction. This only applies if you’re moving for your job, and it comes with both distance and time requirements. Check out this IRS page for more information. Zooz Moving is always a good option. If you’re looking to get a quote for an interstate move, call us at 520-447-0900, email us at info@zoozmoving.com, or contact us by using this form. Moving is rarely an easy task. From organizing and labeling moving boxes, to hiring professional movers and packing services, juggling so many responsibilities on moving day can be an overwhelming experience. For many, one of the most challenging relocations is downsizing from a home to an apartment. On top of decluttering every inch of your home to purging every unwanted item in sight, it may be difficult for you to decide what’s worth taking and why. Step 1: Can You Use It? There may be items in your home that are broken, torn, or worn out. In other words, they’re no good. Why not throw them out? Chances are you no longer need ten different Chinese takeout menus or a broken stereo system. Save yourself the added stress of moving old junk and toss anything that no longer serves you. Better yet, make some extra cash by selling your lightly used items. Donate old clothes and furniture to your local Goodwill, Salvation Army, or homeless shelter. Step 2: Is It Outdated? The process of downsizing your home becomes easier when you know what you need to get rid of. If you have any outdated clothing, electronics, or appliances you’ve been neglecting, you may want to get rid of them. If you haven’t used it for the last two years, it is likely you may never use it again. Go ahead and throw it away. Step 3: Do You Have Room for It? Before you start packing, consider the dimensions of your new home. At first it may seem like you’ll have more space to pack because you have less furniture to move, but that is not always the case. It’s important to take measures of your future home and decide what will and what will not fit. Create a floor plan of your next home in order to make the estimations right. As you prepare for moving day, know when it is time to let go of belongings that are no longer of use to you. It may be helpful to think of downsizing as a fresh start for a simpler life. Less clutter, more room to breathe. If you follow these three steps, we guarantee your move will be a whole lot easier for you and your family. 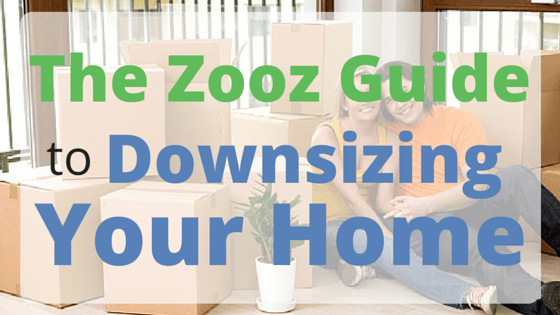 Are you in the process of downsizing your home? If so, then you deserve professional Tucson movers you can trust. At Zooz Moving, we understand that a move is a big project, whether you’re moving down the block or halfway across the country. Zooz Moving offers a wide variety of different moving services, from local and long distance residential moves, packing services, transportation, and commercial moves. With every move, we aim for 100% satisfaction guaranteed. Let Zooz Moving be your solution to a stress-free move. Call Zooz Moving today and receive a free estimate on your next move! For more information on how we can service your next local, long distance, residential or commercial move, contact us at (520) 447-0900. Service Overall rating: 5 out of 5 based on 15 reviews.